Oxford United have signed striker Jordan Bowery on a short-term deal until the end of the season following his release by Rotherham. Former Aston Villa player Bowery, 24, made three appearances while on loan at Bradford earlier this season. 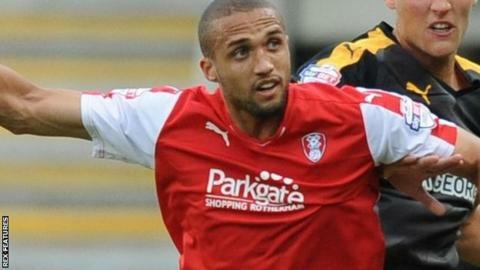 He leaves Rotherham by mutual consent after finding his first-team opportunities limited. "I'm very delighted to be here, it's good to be back playing and the club's on the up," he told BBC Radio Oxford. "I'm a big lad, I'm strong and hopefully I'll bang in the goals as soon as possible." Bowery will be available for Oxford's trip to fellow League Two promotion challengers Portsmouth on Saturday having trained with the squad for the last few days.